The House of Representatives in the Northern Mariana Islands (CNMI) – a U.S. commonwealth in the Pacific – approved a bill to legalize and regulate cannabis for medical and recreational use. If the bill becomes law, the Islands would be the first American territory to legalize adult-use cannabis. Representative Joseph Leepan T. Guerrero told Marijuana Business Daily the Senate could take up the bill as soon as next week. “The Senate will definitely pass (the bill),” he predicted, adding that he expects it to be approved in a timely manner, even if it is amended. Read the bill, known as the Taulamwaar Sensible CNMI Cannabis Act of 2018, in its entirety here. The bill was re-introduced in the House by Joseph P. Deleon Guerrero. The pending law would establish a five-member CNMI Cannabis Commission to oversee six categories of cannabis businesses: producers, testing facilities, processors, retailers, wholesalers and lounges, according to the Marijuana Policy Project. Past convictions for marijuana possession, manufacture or delivery cannot be used as a basis to deny business licenses, provided the convictions are more than 10 years old. Patients of any age would be allowed to use marijuana if they have at least one qualifying medical condition – including cancer, post-traumatic stress disorder and seizures, among others – and a doctor’s recommendation. The law would also establish generous possession limits for recreational cannabis in dried, liquid and extract form and create a Homegrown Marijuana Registry for adults and patients who want to grow cannabis at home. Registered adults would be allowed to grow up to six mature plants and 12 immature plants per household. The Senate already approved a marijuana legalization bill in May. That bill was rejected by the House over a technicality. It was reintroduced by Guerrero and easily approved in the Republican-dominated House this week with only minor revisions. After getting the nod of the Senate, Gov. Ralph D.L.G. Torres would have to approve the bill before it becomes law. Guerrero said the governor may ask the attorney general to review and comment on the proposed law. The Islands would benefit from another source of revenue, he said. “Our only source of revenue is from our lone Tourism industry. Our Casino industry, which has kept the CNMI afloat, is on shaky grounds,” Guerrero said. 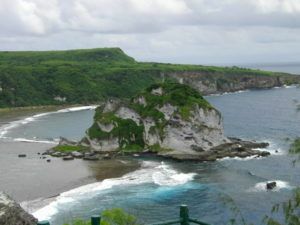 Neighboring Guam passed medical cannabis regulations earlier this year. To sign up for our weekly International marijuana business newsletter, click here.